This week developer Frogmind released the follow up to the deservedly award-winning Badland. Unlike the original, this one is amazing right from the start. 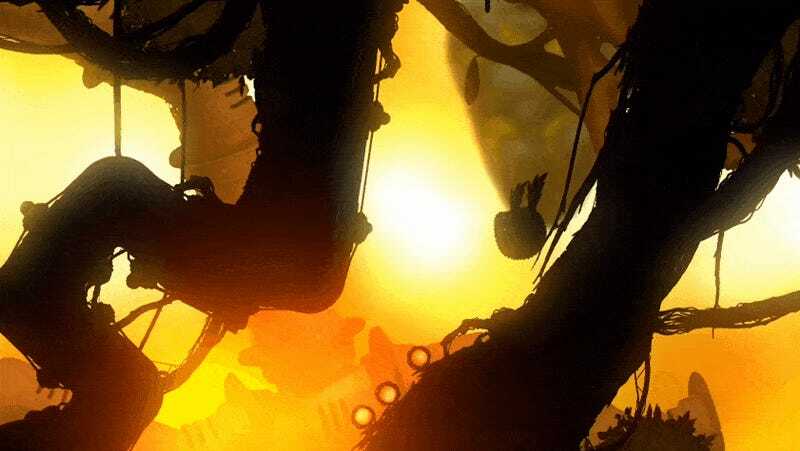 The first Badland game drew me in with its stunning silhouette art style and enchanting sound design, but nearly lost me by spending too much time making sure I knew the basics. The player’s job is to use a single finger to ensure the strange spherical hero of the game stays aloft through a series of precarious courses. As the game progresses new inventive game mechanics are introduced. The hero grows and shrinks. It speeds up and slows down. It gathers a horde of duplicates of itself and attacks obstacles with numbers, hoping at least one of them makes it through.It’s amazing—it just takes awhile. Here’s the first five minutes of the Game of the Year edition of Badland released on consoles earlier this year. Available this week on iOS (and soon everywhere else I am sure), Badland 2 immediately drops players into the thick of things. Along with the ability to moved both left and right, a welcome addition to the series, all of those outstanding mechanics come into play within the first several levels, along with some neat new additions. I particularly like the addition of fluids, which react dynamically to the floppy-eared creature as he passes through them. As with the original game, Frogmind has continuing plans for Badland 2, so players can expect more levels both in single-player and asynchronous online multiplayer modes, and who knows—maybe the local multiplayer for up to four players could make a return one day. In a market flooded with free-to-play games, sometimes it’s tough to justify spending $4.99 on a premium title. Badland 2 is not one of those times. Get it. Contact the author of this post, who wishes he could only appear in silhouette, at fahey@kotaku.com or find him on Twitter@bunnyspatial.